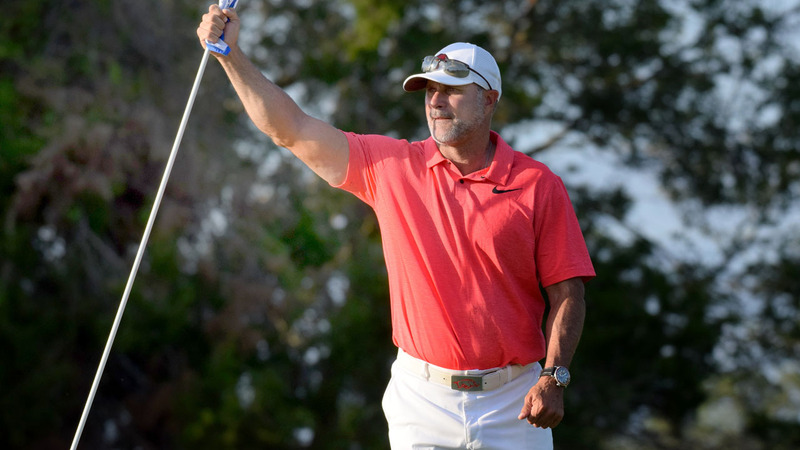 FAYETTEVILLE – The Arkansas men’s golf program has added a one-day, 36-hole event to its schedule as the Razorbacks will play in the Git-R-Done Husker Invitational on Saturday, April 13. The event will be played at Firethorn Golf Club (7,025 yards, Par 71) in Lincoln, Neb., and the six-team field includes Arkansas, Creighton, Drake, host Nebraska, Nebraska-Omaha and South Dakota State. The first round will begin with a shotgun start at 9 am while round two will get underway at 12:30 p.m. The second round will be continuous play. Arkansas’ lineup will include Tyson Reeder, Mason Overstreet, Julian Perico, William Buhl and Luis Garza. Freshman Wil Gibson will play as an individual. Following Nebraska, Arkansas will compete for the 2019 SEC Championship (April 24-28) in St.Simons Island, Ga. The NCAA Regionals will be May 13-15 before Arkansas hosts the 2019 NCAA Men’s Championships May 24-29 at The Blessings Golf Club. Arkansas and the Blessing Golf Club will also host the 2019 NCAA Women’s Championships May 17-22.